Disasters don't have to be disastrous. Engineering advances enable buildings and infrastructure to better withstand natural, technological and malicious hazards. With resilient new designs, infrastructure can bounce back faster with minimal loss. Achieving resilience is difficult as our aging infrastructure grows more interdependent and complex, but new ways of thinking about infrastructure are leading to a more stable, safer future. Engineers strive to improve materials and structures to shelter us from all the elements: earthquakes, droughts, strong winds, walls of water, fires and whatever fierce combinations come our way. Building materials imbued with new properties, such as smart concrete, can help engineers troubleshoot weak points long before they become problematic. 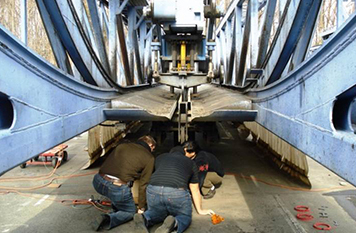 Wireless sensors monitor structural health to prevent system failures and potential injuries. As interconnected devices talk to one another in a vast new Internet of Things, new cyber-physical marriages enable vital systems to be responsive. Even small disruptions can make a big difference in our daily lives – just think of how a winter storm affects your commute. Engineers keep in mind the human element, whether making infrastructure more resilient or preparing for a disaster. 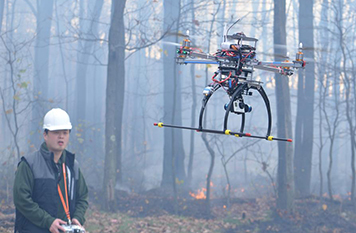 And when the risks are great, we want early warnings, tracking systems, and robotic colleagues to help us out. 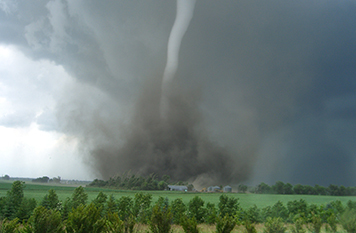 Engineering researchers often speed to the scenes of hurricanes, floods, earthquakes and tornadoes to gather data before it disappears. This information – combined with findings from models and simulations – enables engineers to create more resilient buildings and infrastructure to protect lives and vital services. Feel an earthquake? Find it on a USGS map!